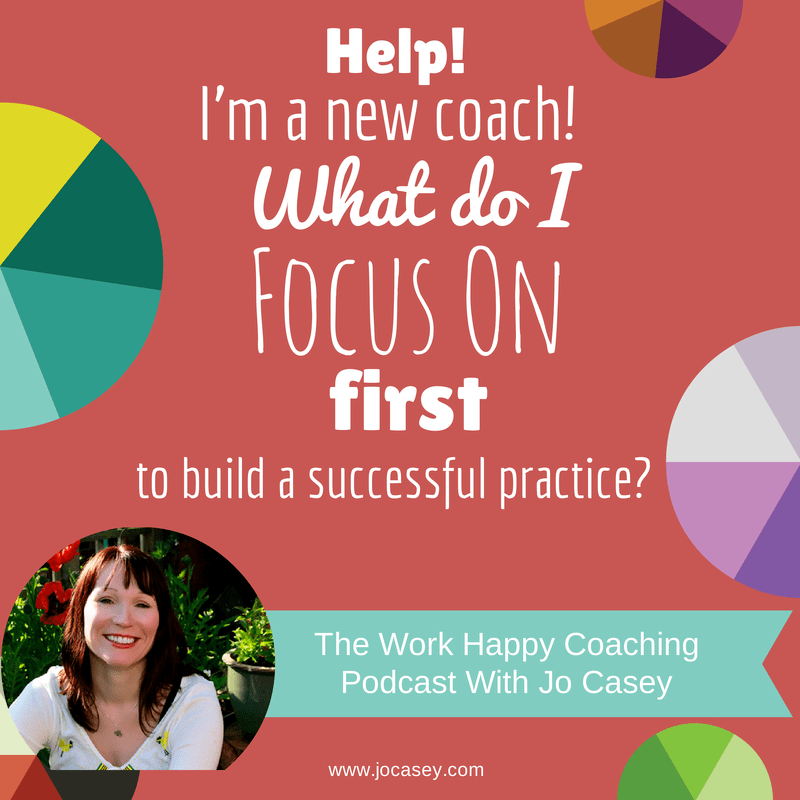 WHP32-I am a new coach – what do I focus on first??? Great Question Evie! and what new (or even established) coach doesn’t feel your pain. Starting a new coaching practice seems to open up a Pandora’s box of options for where to place your focus and it’s easy to get overwhelmed, confused and downright crazy making. Not to mention expensive and time consuming. Thankfully, one of the benefits of being around block a few times with this coaching malarkey is that I can save you a whole lot of time and angst on this stuff. Listen in to this weeks Work Happy Coaching Podcast where I give you the lowdown on exactly what you need to do in the beginning stages of building your practice. if you follow my advice you will save yourself untold months (even years) or trial and error, money and angst.